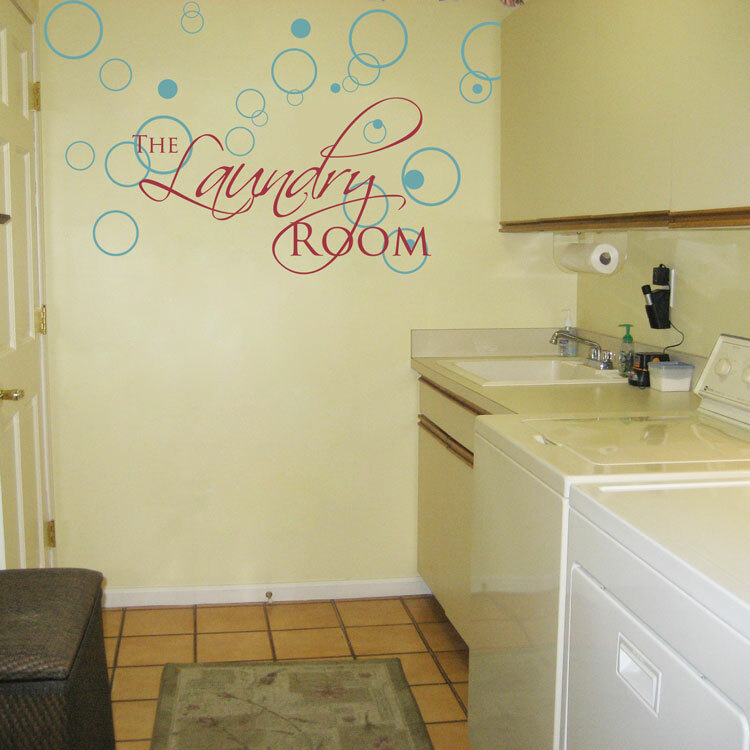 Adorn one of the most important rooms in your home, The Laundry Room, with our Laundry Room wall decals! Shown here with the optional circles and bubbles, which can be placed however you like! Text measures 37.5 inches wide by 22 inches high. Optional set of 36 Circles and Bubbles range in size from 1.5 inches to 9 inches in diameter. Available in any color of your choice! 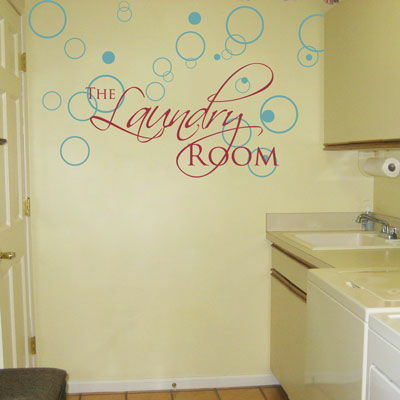 This Laundry Room wall decal comes in one piece, ready to apply! the optional set of 36 circles and bubbles may be cut apart and placed however you choose. Practice decals are included with every order. Made a custom segment for me, communication for it happened almost instantly. Shipping was great. Item went up on my wall beautifully and I am very happy to have it. Thanks! LOVE it! Great product, and great seller. They took the time to look at pictures of my wall to be sure the decals would work on my textured surface. The decals were easy to put up and look great. Thank you! I love my decal! I got the GIANT TREE. Im such a klutz but the instructions were easy to follow even for me! Nice product and fast shipping! THANK YOU! I wanted to write to pass along my positive experience for any future customers. Though I felt the transfer was going to be challenging, once we got started it was pretty simple and the results look truly painted on. I decorated my babies room and it gave the room a whole new dimension. I had used a different company for decals years ago and they were far lower in quality and looked more like a decal-vinyl on the wall. Dali is very thin and very crisp looking. I will buy more Dali Decals for upcoming projects.